New Stampin' Up! Year, New Catalog! If you don't have one already, contact me and we'll figure out a way to get one to you! I am SUPER EXCITED about the Christmas Keepsake Box, which will NEVER be available to purchase and is ONLY AVAILABLE to new demonstrators who sign up in July! 1. I love Stampin' Up! products but don't want to do parties. Is there any penalty if I don't do parties? ANSWER: NO PENALTY! After you join, receive your Demonstrator ID# and get on the Stampin' Up! website, you can start saving immediately! 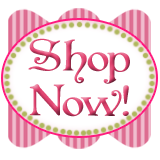 Every order you place for Stampin' Up! merchandise will receive the demonstrator 20% discount! The Starter Kit is YOURS to keep, no matter what! There's no minimum number of parties to have, no obligations. One of the things I love about being a Stampin' Up! Demonstrator is that even though I am a Business Demo and stamp almost every day, if something comes up in my life that I need to do, I can do it without asking anyone's permission. I am my own boss!!!! 2. I'm not sure I like the stamps and colors in this Starter Kit. Can I change them to items I like? ANSWER: YES YOU CAN! The kit is customizable to meet your needs! All you have to do is choose stamps, paper, and inks you like from the New Catalog, then enter those Item Codes in the boxes provided on the Starter Kit Form. All items you substitute from the suggested ones must be of equal or lesser value than those listed. 3. What is the sales minimum to keep getting the Demonstrator Discount? As a NEW recruit, your first $300 sales requirement is not due until December 31, 2011, so you have plenty of time to stay active and save! 4. Is it hard to join? 5. I don't really know that much about stamping, Is there training available? ANSWER: YES! You will receive weekly emails from Stampin' Up!, helping you to navigate the Stampin' Up! website and take advantage of all the great NEW Demonstrator Programs available. You can also receive all the training you want from ME, via phone, email, face-to-face meetings, and my monthly Downline Meetings for my Demonstrator group, the "Yes, Ma'am's! You will have access to my 8 1/2 years of stamping knowledge as a top 100 Demonstrator with the company. Take a look at my website and give me a call today! Here's a fun project we did with the new "Pennant Parade" stamp set (which just happens to be the suggested $99 Starter Kit stamp set!) at my New Catalog Open House this past weekend!